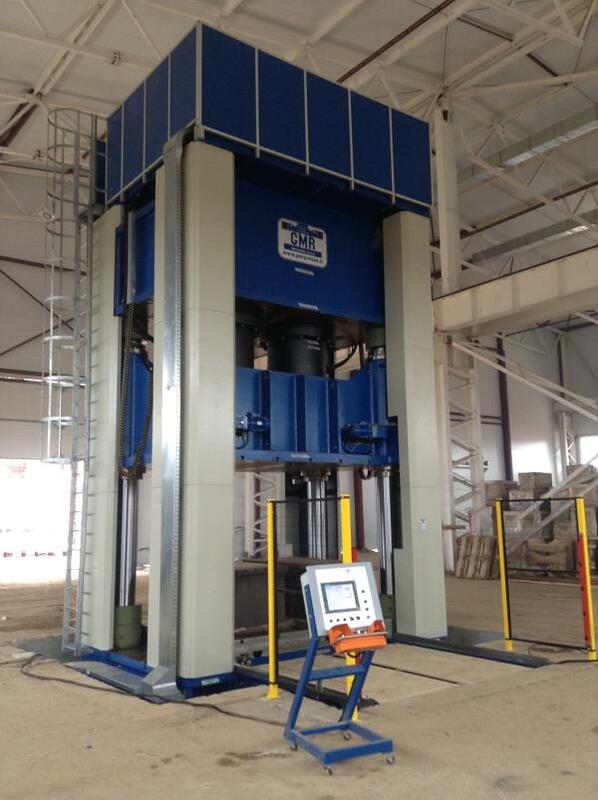 4-post 3000-ton hydraulic press: vertical four-post, hydraulic press, robust construction, specially designed for SMC moulding work. Metalwork frames using S275JR certified welded sheets machined on large blade-boring machines to achieve high dimensional precision and narrow geometric tolerances. 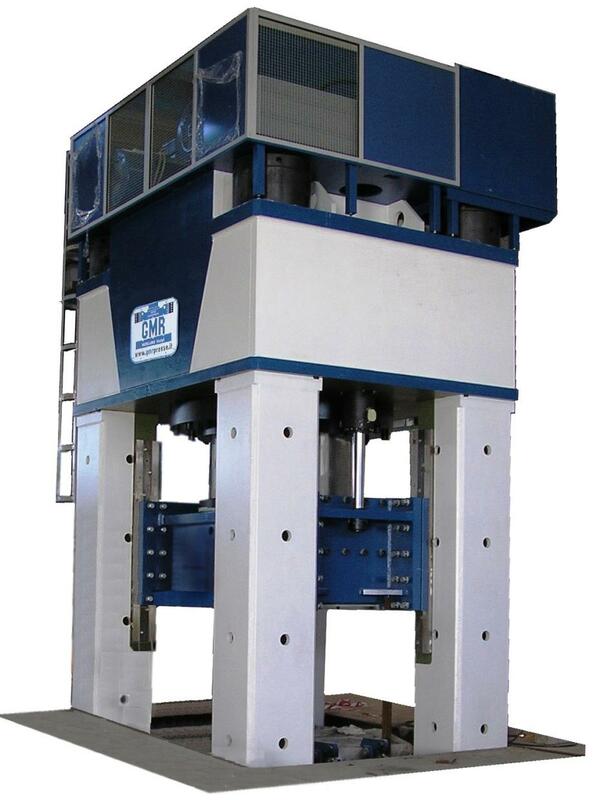 4-post 300-ton hydraulic press: four-post press frame, robust construction for rigidity and precision at work; lower base, moving top and upper crossbar are made of welded metalwork and machined on top; moving plane flows through lubricated bronze rails. Presses are designed and manufactured in compliance with all EEC safety requirements (2006/42/EEC 98/37/EEC 89/336/EEC) with the best components in all their parts.